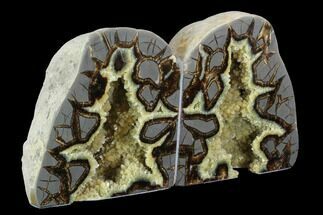 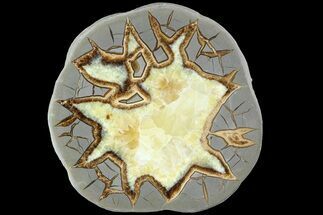 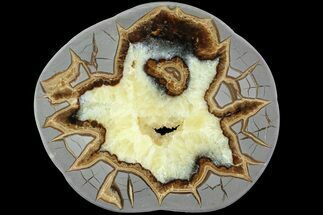 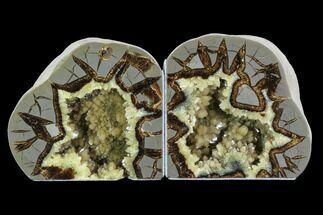 This is an absolutely stunning piece of septarian that has been polished into a free-standing, flame shaped sculpture. 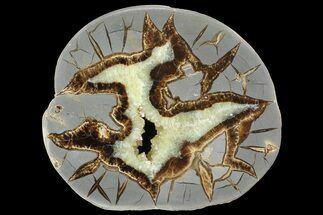 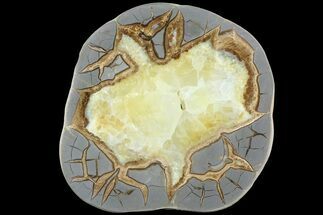 The septarian was mined West of Orderville, Utah and was deposited during the Jurassic period, 150 million years ago. 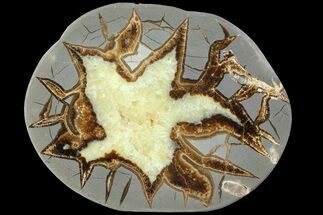 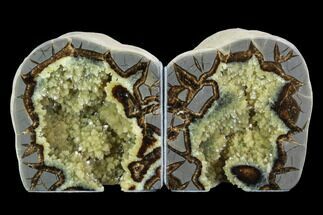 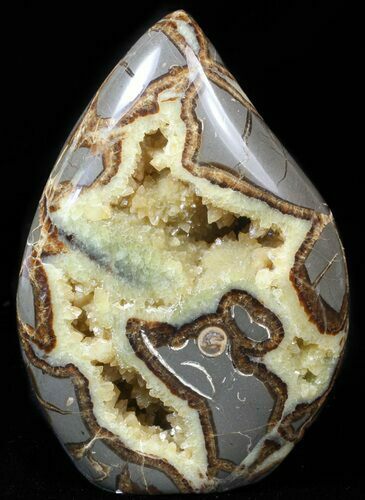 It has a gorgeous pattern due to the aragonite and calcite filling in cracks and the quality of the polishing work is exceptional. 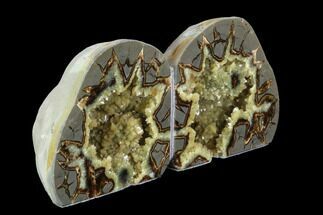 Excellent deep crystal pockets in this piece.